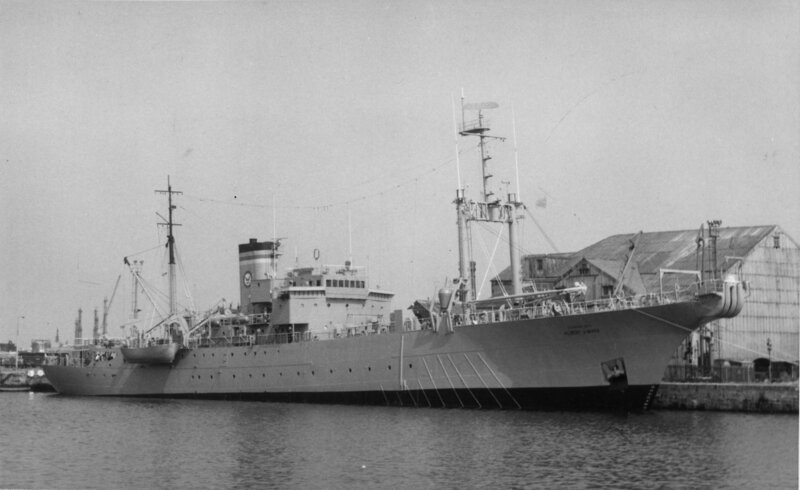 Laid down, 14 April 1945, as a Maritime Commission type (S3-S2-BP1) hull under Maritime Commission contract (MC hull 2668) at Pusey and Jones Corp., Wilmington, DL. 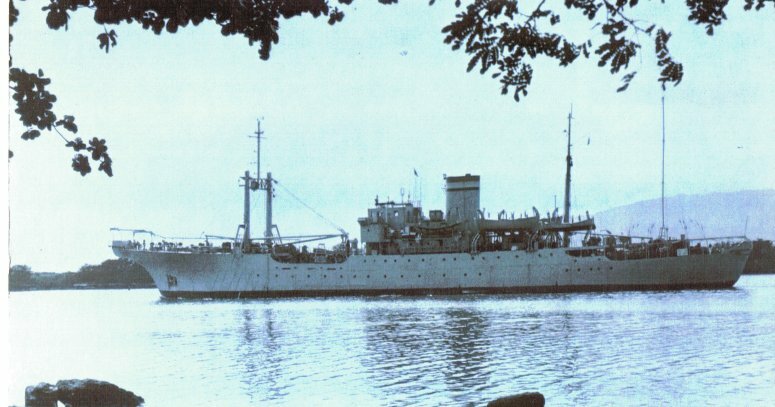 Delivered to the Maritime Commission, 17 May 1946 for lay up in the National Defense Reserve Fleet, James River Group, Lee Hall, VA. 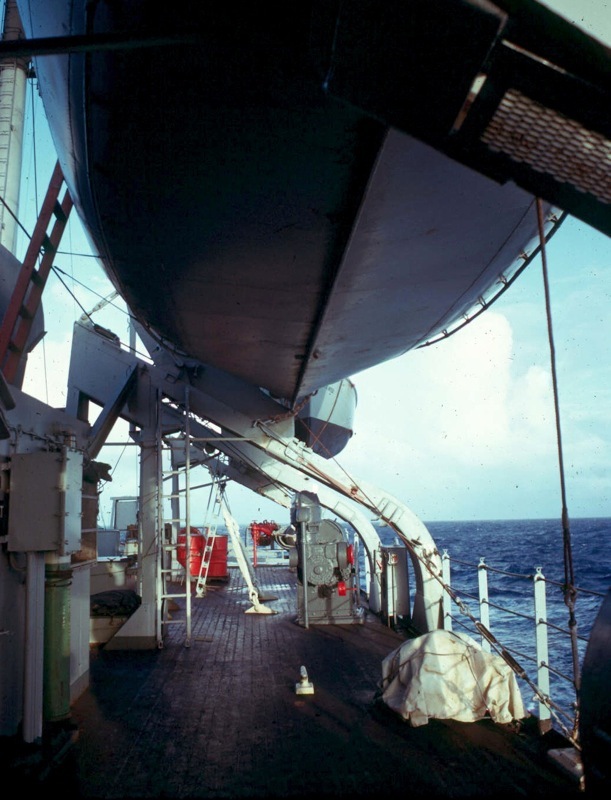 Transferred to MARAD, 1 April 1998, for lay up in the National Defense Reserve Fleet, James River, Fort Eustis, VA. 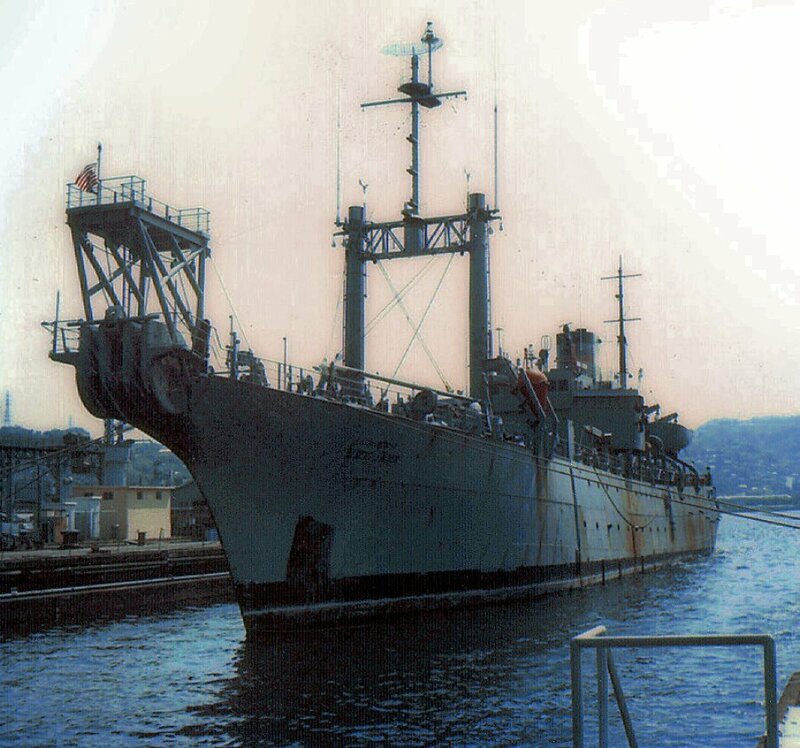 Final Disposition, returned to Navy custody, removed from the National Defense Reserve Fleet James River Group by towing, for scrapping 24 August 2005 and subsequently scrapped at International Shipbreaking, Brownsville TX. Albert James Myer—born on 20 September 1829 at Newburgh, N.Y.—received his bachelor's degree from Hobart College in 1847, graduated from Buffalo Medical College in 1851, and became an assistant surgeon in the Army on 18 September 1854. Already an accomplished telegrapher, he became an enthusiastic proponent of visual signaling while serving in Texas. In the late 1850s, Myer lobbied vigorously for the adoption of his method of signaling and for the establishment of an organization within the Army responsible for communication. In 1860, Congress created a major's billet on the Army staff for a signal officer, and Myer was appointed to fill the new slot. Between the summer of 1860 and the spring of 1861, he employed his system successfully during General Canby's campaign against the Navajo Indians. 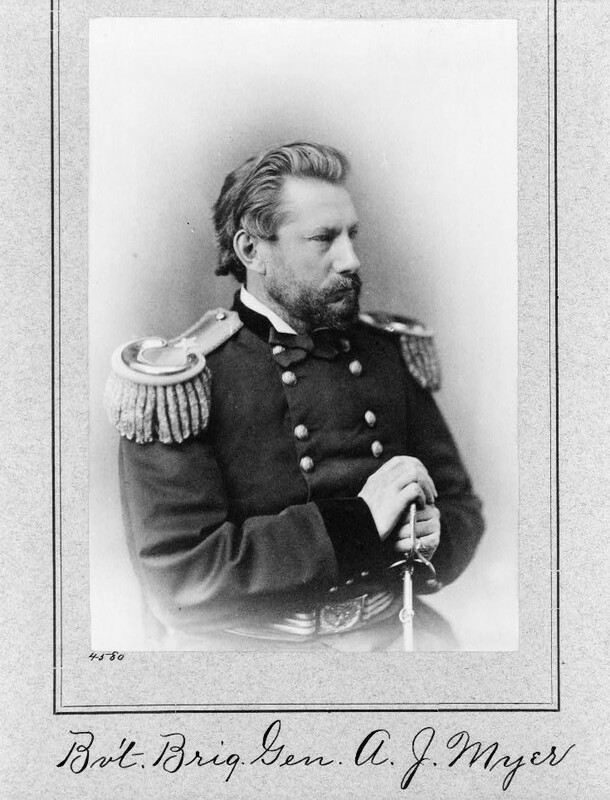 In June of 1861, Maj. Myer received orders to Washington, D.C., to organize and command a signal corps. Through the first two years of the Civil War, Myer carried out both administrative and operational responsibilities while also proselytizing in Washington for the establishment of the Signal Corps as a permanent entity in the Army. Brevetted a lieutenant colonel on 27 May 1862 for his service on the staff of the Army of the Potomac, he received a full colonelcy as a result of the formal establishment of the Signal Corps on 3 March 1863. However, conflict between Myer and the assistant secretary of war under whose supervision military telegraphy fell, resulted in his removal as chief signal officer in -November 1863 and his assignment to the Military Division of the West Mississippi in which he served the remainder of the remainder of the Civil War. Following the war, Myer received the brevet rank of brigadier general; but he did not really come into his own until July of 1866 when Congress reorganized the Signal Corps and, with the permanent rank of colonel, he again became chief signal officer. Myer headed the Signal Corps from 21 August 1867 until his death at Buffalo, N.Y., on 24 August 1880. During that time, he played a dominant role in the resumption of a storm warning service that previously had been provided by the Smithsonian Institution and its subsequent incorporation in 1870 as the United States Weather Bureau under the direction of the Signal Corps. Myer became a permanent brigadier general on 16 June 1880, a little over two months before his death. Fort Myer—in Arlington, Va.—is also named in his honor. 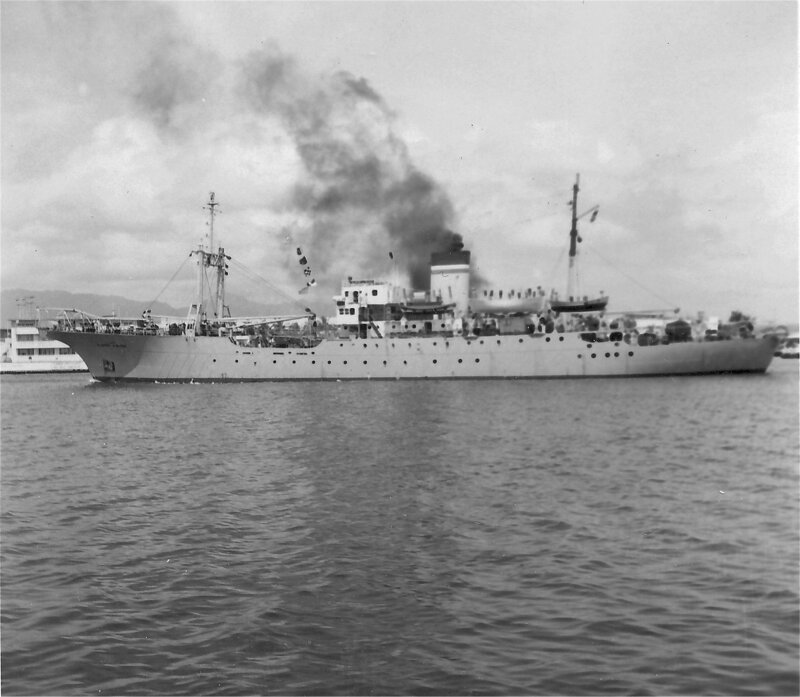 695k USNS Albert J. Myer (T-ARC-6) berthed at No.9 Berth, Barry Docks, Wales, Great Britain, 30 July 1973. 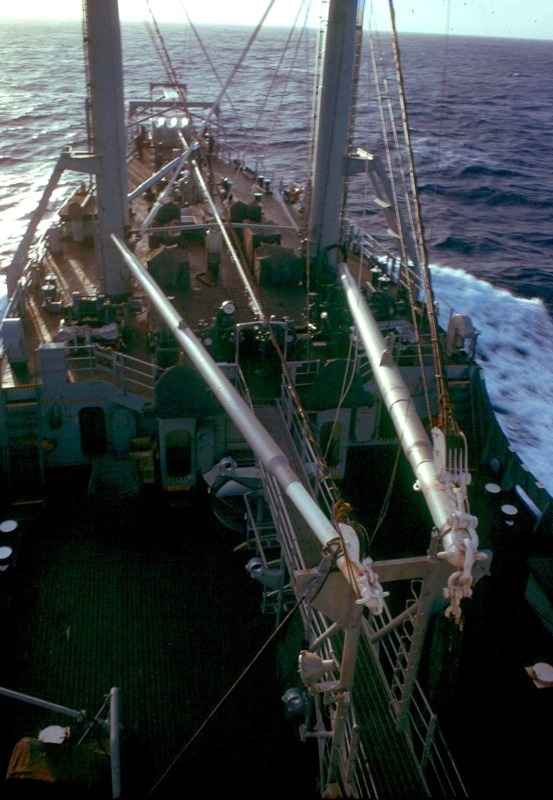 158k USNS Albert J. Myer (T-ARC-6) entering a harbor in Japan circa May 1976. 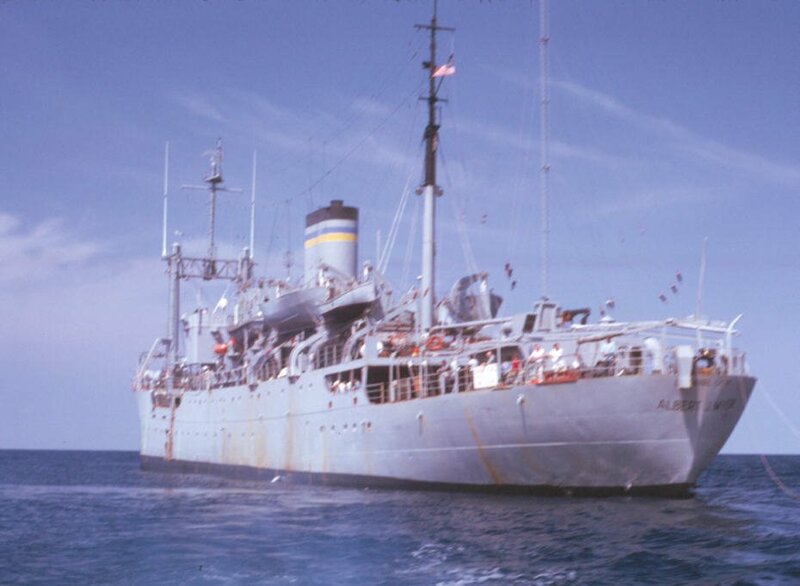 61k USNS Albert J. Myer (T-ARC-6) under way, date and location unknown. 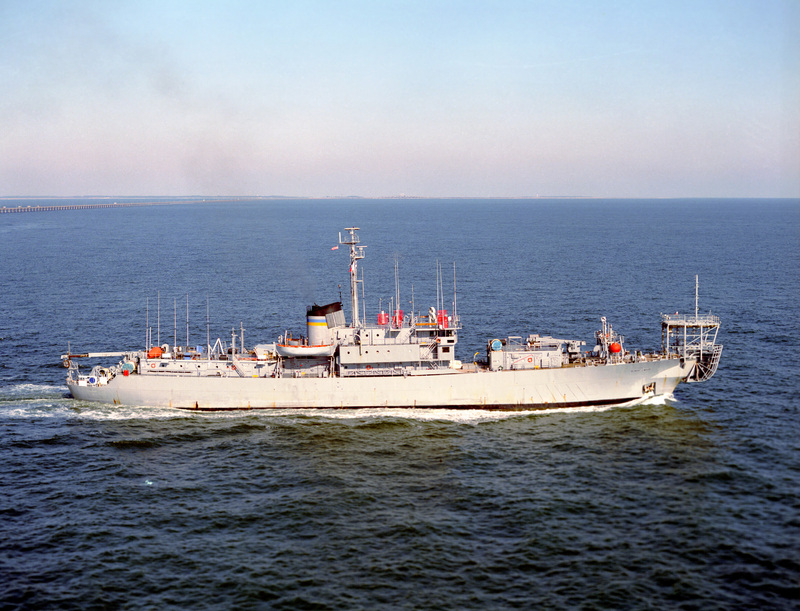 2092k USNS Albert J. Myer (T-ARC-6) under way, 1 January 1984, location unknown.